04.50 pm – Papaya for afternoon break. 10.04 pm – Clash Of The Titans trailer. 11.01 pm – Made a simple Bailey’s Irish Cream cocktail. Bailey’s + milk. I have no idea what it’s called but it tastes good! 11.33 pm – Nip / Tuck s06e07. The Monday I Ate Subway Sandwich’s Italian B.M.T. a chicken pies and an egg tart for breakfast. a spicy stuffed hard tail scad for lunch. 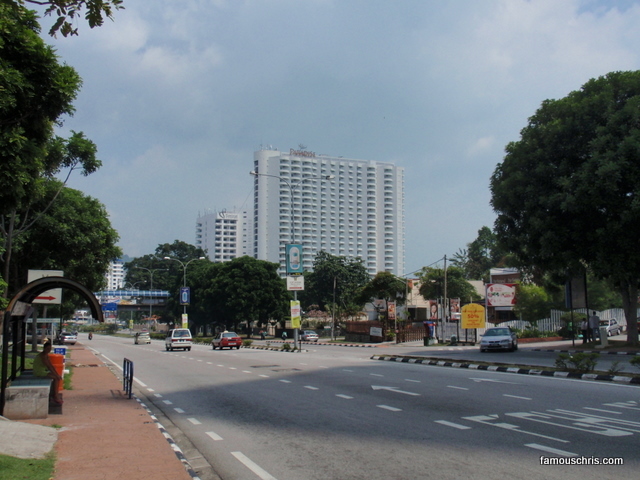 12.42 pm – Received a snail mail from KL. 02.57 pm – It’s Complicated. 03.18 pm – Fullmetal Alchemist Brotherhood 31. 05.45 pm – Afternoon break. 07.00 pm – Last badminton session before a long 4 weeks break for SPM exams. 09.04 pm – Subway sandwich for supper. Today’s RM7.50 promo was the Italian B.M.T. Categories My DaysTags apples, badminton chung hwa, broccoli, cauliflower, chicken pie, egg tart, gardenia delicia butterscotch, iced nescafe, nestle bliss yogurt, red apple, snail mail, spicy stuffed hard tail scad, subway italian b.m.t., subway sandwiches, wedding invitation cardLeave a comment on The Monday I Ate Subway Sandwich’s Italian B.M.T. 02.09 pm – Grey’s Anatomy s06e01e02. 06.13 pm – Received an invite to submit my resume to AllStaff. 04.30 pm – Took sick, diarrheaing granny to 24 Hours Klinik Batu Lanchang. 05.03 pm – Had cheese toasts for afternoon break. 09.06 pm – Early supper. Fried tom yam curly noodles. Bought a piece of extra bun in addition to the curly noodles. 01.30 pm – Iced Nescafe.